It’s increasingly difficult for a furniture brand to draw attention of potential customers. For in order to do that, it needs to differentiate itself in a congested market and communicate with a potential client before competitors do. And how to achieve this, when every niche is packed with companies with the same goal? And offering services of the similar kind? One way to proceed is to turn to social media. Its benefits are obvious: the audience is huge, opportunities – stellar. And, of course, the return on advertising spent is notoriously good. But how to stand out in the crowd of voices crying out other engaging messages? The same kind of uncertainty reigns in other types of Advertising. For the companies invest heavily into manufacturing and further promotion of furniture – without any guarantee whatsoever. No one can say for sure whether a channel will work and predict the outcome. It’s only logical that a Furniture Business strives to break forth, grow a client base and increase the sales. Obviously, for that, the brand needs to know how to attract attention of potential customers. Engaging Customer Experience is a key to that. Fortunately, there’s a proven tool to achieve that – 3D graphics. Which is why we’ve chosen for you 5 effective techniques to captivate the target audience. 3D Animations with Tutorials are a helpful tool to showcase the advantages of a product. Create 3D lessons on how to use it. For instance, tutorials explaining how to use the smart furniture solutions and thus save the space. The tutorial animations attract people to the website and support the image of brand reliability. Having an online showroom is a strong competitive advantage for both brick-and-mortar shops and for furniture e-commerce. As for the online store, it’s a sure way to stand out among other online shops. For most of them are based on similar platforms and do not have the level of influence online showrooms offer. As far as the usual stores concerned, they can also expand the reach online and get a new source of clients. Basically, online showroom takes the notion of Engaging Customer Experience to a whole new level. Invite the customer to have some inspiration and take a walk in an interior design furnished with your products. The engaging ad draws attention in the social media – with lots of clicks, likes and shares. As a result, 3D panoramas bring Facebook pages many new subscribers. Moreover, Panoramas can be combined with an option to buy the objects from the interior. And therefore, besides from getting shares and likes, this type of engaging experience creates upsell opportunities. 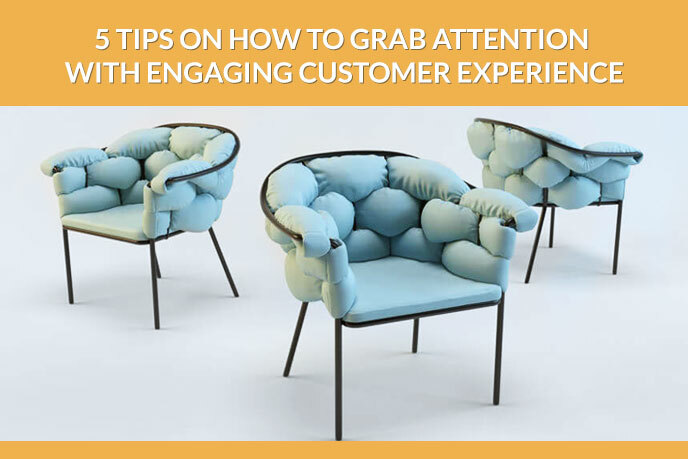 Create an engaging customer experience by using Interactive Applications. Initiate a contest on creation of a best furniture design using this app on your site. The winner is chosen by means of voting. As a reward, offer the designed object for free. What a company gets out of it? New subscribers, a lot of attention to the social media accounts and website. And most importantly, the contest brings one more considerable benefit: creation of a potentially popular product design. As you can see, breaking forth with an Engaging Customer Experience is an achievable goal. Differentiate your brand among competitors using 3D Modeling and increase the amount of clients. What happens next – is up to the unique and enticing offer of the brand. Looking for ways to create high-quality 3D content? Contact UFO3D.